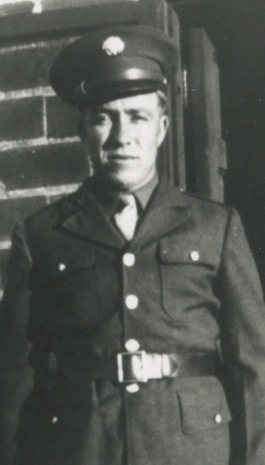 OSWEGO, NY – Robert Ferguson, 93, a resident of Oswego, passed away Thursday August 7, 2014, at the Veterans’ Hospital in Syracuse, NY. Born in Oswego, he was the son of the late Frank and Marguerite (Hall) Ferguson. Robert was a U.S. Army veteran, serving from during World War II from 1942-1945. He owned and operated Ferguson Electric. Surviving are his sons, Richard (Diane) Ferguson and James A. (Georgeanne) Ferguson, both of Oswego; a sister, Marguerite Furlong of Oswego; five grandchildren; several great-grandchildren. He was predeceased by three brothers, Edward Ferguson, Harold Ferguson and Alford Ferguson. Graveside services will be held privately at the Oswego Town Rural Cemetery. We recently meet Mr. Ferguson at the VA. He was sharing a room with my father in-law. On our first visit he was not a very happy guy but made us laugh often when complaining about the nurses waking him up to draw blood or take vitals. As the days went on he was feeling better and the grumpiness turned to smiles when we stopped by for a visit with my father in-law. We always made it a point to chat with him for a few minutes while we were there. We were happy to see him discharged a few weeks ago but saddened when his name appeared back up on the 7th floor monitor. My wife and I stopped in for a quick hello and again we were greeted with a smile. Although we did not know him well you could tell there was something special about him. Our condolences to your family!